KFD Protein groats it’s a great alternative for light meal, especially for busy people. 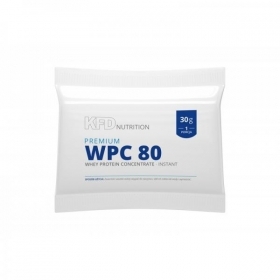 Beside low IG carbohydrates dose, our groats also provides a lot of protein in the form of the well-known KFD WPC 80 and micellar casein from KFD Desser. The unique recipe allows you to prepare a meal in just a few moments, just mix the product with cold milk or water and let it settle for 5-10 minutes. Ingredients: Protein mix (whey protein concnetrate [from milk], whey protein isolate [from milk], corn strach, thickener: konjac, aromas, natural caramel, salt, sweetner: sucralose.